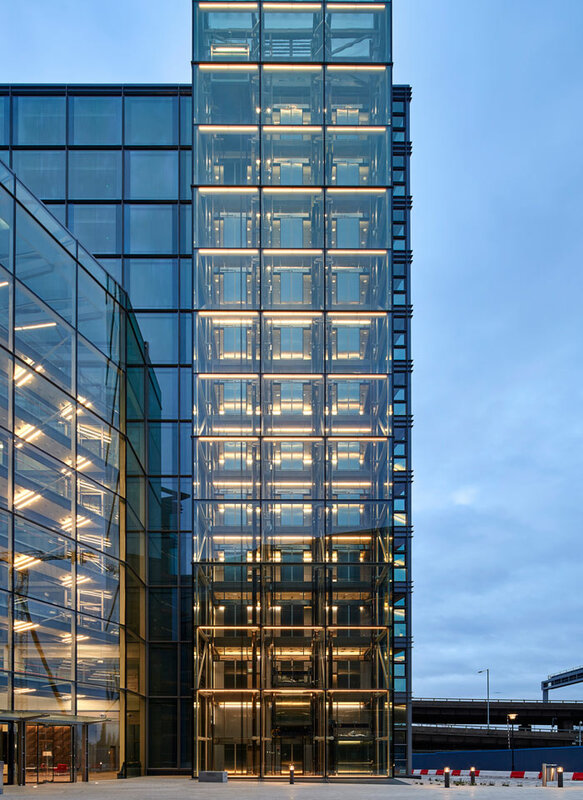 Imperial College’s first new campus in over a century offers a new urban quarter integrating academic uses with office, residential and retail. Key to this campus is the 17,000-square metre Translation & Innovation Hub (I-HUB), where Imperial College London and Imperial College ThinkSpace have created an entrepreneurial environment that enables the translation of research outcomes into internationally significant technologies. 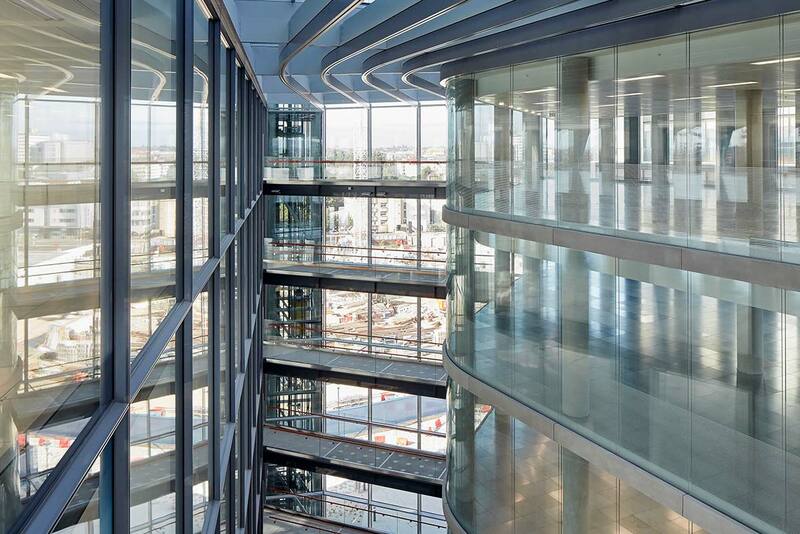 The I-HUB building was designed to support the exchange of ideas, while remaining adaptable to changing patterns of scientific enquiry, market demands and future tenants. 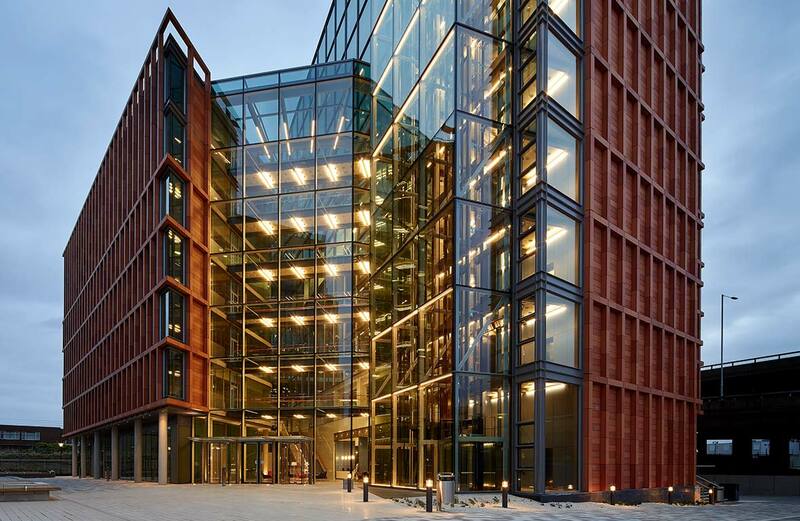 It comprises modern wet-labs, flexible incubator and office space, to allow major corporate partners, start-ups and fast-growth companies to work side-by-side with Imperial academics. When it came to the construction and fit-out of the campus, to reduce complexity, contractors preferred to deal with the minimum number of suppliers. 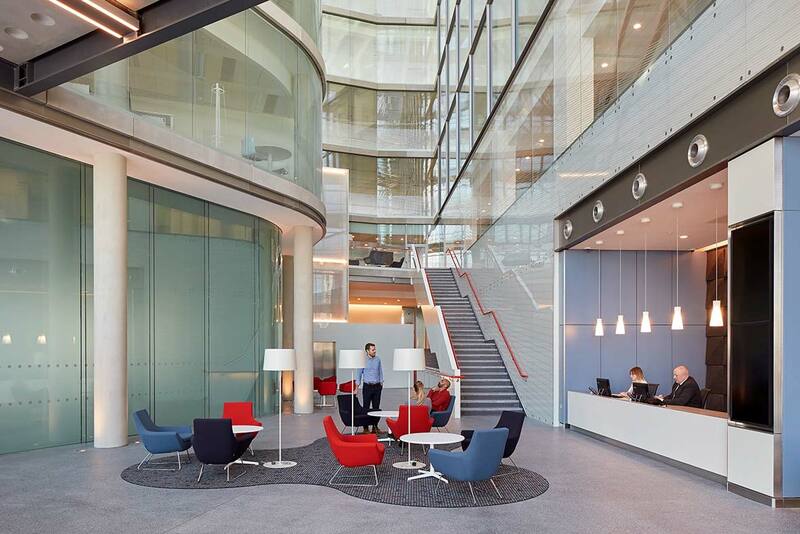 TRILUX were chosen as the lighting supplier based on their capability to deliver energy efficient and cost effective products for each area of the development. This helped the contracting firm to simplify their supply chain and work with a single supplier for the complete scheme. The lighting scheme needed to be flexible to match the requirements of the changing patterns and demands of the scientific studies. It also had to offer high performance precision light to support detailed technical studies and facilitate communication and collaborative working. The labs were a focus area where Fidesca cleanroom luminaire answered all the technological demands of an aggressive environment. The other ranges used throughout included Solvan, Amatris, Faciella, Oleveon, Deca, Inperla, Arkon, along with some custom products.